An animal trainer had a trained boa constrictor, among other animals, that travelled with him and performed for audiences. He had received the snake 25 years ago when it was little and had trained it well. The performance of the boa constrictor was his star act. First, it had to perform several bows to the audience on command of the trainer. Then came the main attraction. The snake coiled itself completely around the trainer. It wound itself around and around until the man was so completely wrapped up that you could no longer see any part of him. And then the snake lifted its head up high and flickered its tongue proudly at the audience, which applauded loudly. And that is how it went one evening. Up to this point, everything had gone well. The snake had coiled itself completely around its master. It squeezed its massive coil a little bit tighter. A dull crack was heard and then a death cry. 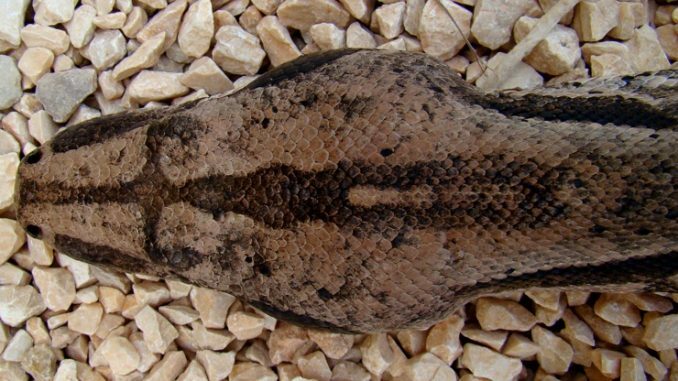 The boa constrictor had crushed all of the bones of its trainer’s body. His dead body was retrieved from the coils of the snake. For 25 years, he had played with the snake, and it had allowed him to control it. But now came a time when the snake showed him: I am the master. For 25 years, he had been its master, and now it had killed him. This is precisely what happens when a person plays with sin. It is a losing game! It comes to an end when sin shows you, sooner or later: I am the master! The end is terrifying. Are you also playing with sin? Do you have a favorite sin that you don’t want to give up? Be careful. For a while, it may go well. For a time, you can imagine you are the master. And then it shows you: I am the master! It will ruin you. Oh, give up your reckless game with sin! It is madness to play with sin. Stop it today, otherwise you will bear the consequences. You have been warned. Remember the boa constrictor.